I know people generally don't like stock fotos, but I think walls can be good with it. So I took a guitar's foto and a xxxholic's scan in google (I know there is an equal scan posted here, but I took in google because the colors were diferent). From the scan I extracted Yuuko, pasted in the guitar and with a dozen filters made it seems like it was painted on it. So I extracted a set of flowers and made a silk texture background. 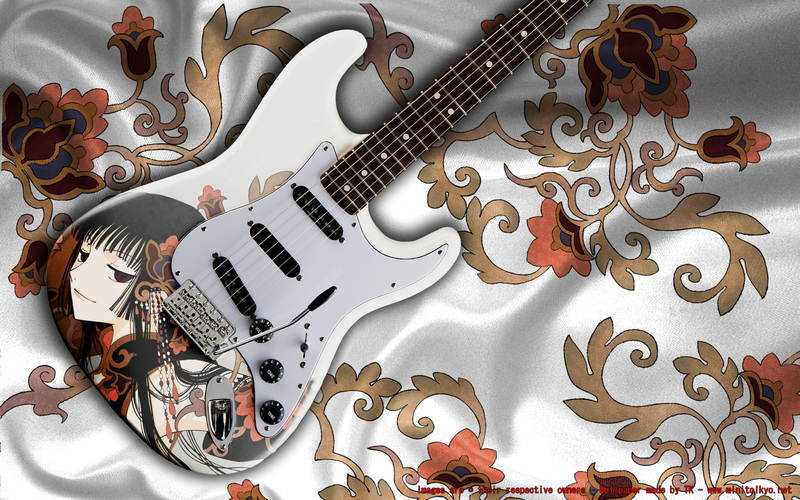 This is really amazing,I love the cloth that guitar is on and the texture you used for it...really creative...good job! i dont know who's this character., but this wallpaper is soooo awesome! great job! very pretty nice design... thanks for sharing this! Thanks for sharing! I like to much! Oh wow this is so unique! that must be what Yuko makes Watanuki play when she's bored, lol!